The challenge this week is SNOWFLAKE. I have used the two different snowflakes on the Christmas cart to make the snowy sky in my layout. Picture is from April 1st 2011. Last winter we had snow from october till April - it is a little milder this year, we did not get a white Chritmas, but now it is beautiful and snowy outside. 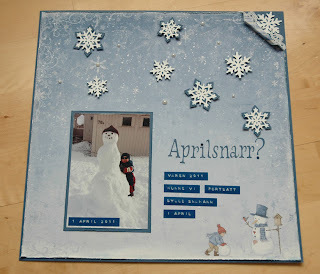 The beautiful background paper is by Maja Design, and then I have just used pearls together with the snowflakes and my Dymo for the journaling. Make sure you visit the rest of the girls. You find them all at Stuck On U Sketches! 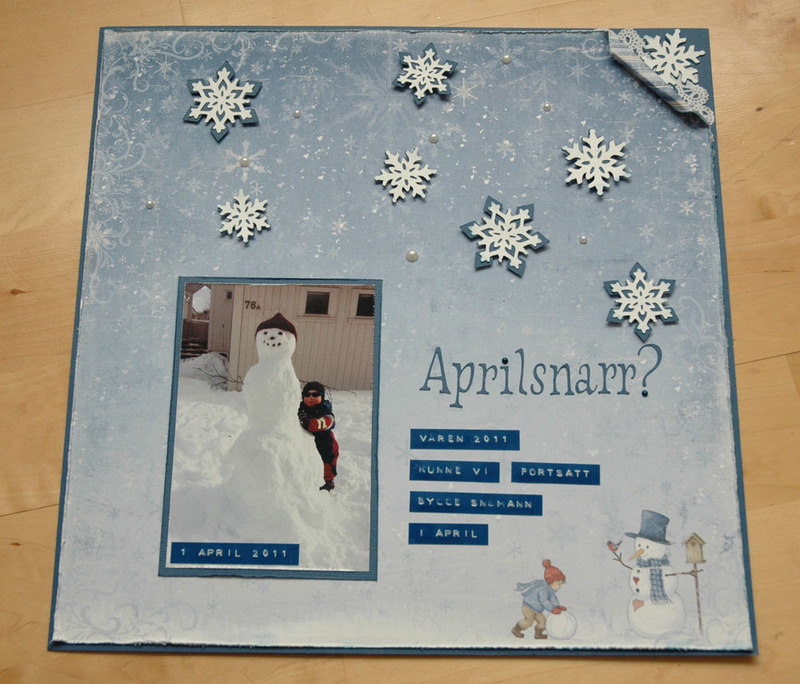 What a gorgeous page, Stine .. love the frosty feel of it .. great job on the snowflakes. And of course adorable photo ... enjoy your company. And Happy NY!! Love those little snowflakes. Such a pretty layout.